John G. Watkins Ph.D, Professor Emiritus of the University of Montana, is world renowned as a pioneering psychologist, particularly in the areas of hypnosis, dissociation, and multiple personality. He was a founder and past president of ISCEH, an international society in hypnosis. He has been the president of the Society for Clinical and Experimental Hypnosis (SCEH), of the American Board of Psychological Hypnosis, and of the Hypnosis Division of the American Psychological Association. Dr Watkins has also served as clinical editor of the International Journal of Clinical and Experimetal Hypnosis. He has lectured all over the world and authored many groundbreaking books and articles on hypnosis and psychotherapy, making him one of the leading theorists in the field. Dr Watkins received his bachelor's Degree and Master's Degree from University of Idaho and his Ph.D from Columbia University. He went on to teach at the University of Montana, Auburn University, and Washington State University. He served as chief psychologist at Portland, Oregon's Veterans Administration Hospital and the Chicago Veterans Hospital. He has received many awards and has been interviewed on national TV by William Buckley (PBS), Morley Safer (60 minutes), and Geraldo. One of his best-known successes was to get the notorious Hillside Strangler to confess to murder and to reveal his multiple personalities. A Tribute to John G. Watkins Ph.D by Woltemade Hartman Ph.D, South Africa; Student, Colleague, Friend and on behalf of the Ego State, Hypnosis and Academic Community, on his passing on 12 January 2012. Jack Watkins, at the age of 9 already showed a keen interest in astronomy when he received a one inch rifle site telescope from his parents. At age 12 he made various star observations and published his findings in the Journal of the American Astronomical Society. A small telescope brought visions of celestial worlds to this young boy .. and a desire for “wisdom” impelled this boy’s later move to academic halls. However, he soon discovered that universities teach only knowledge, not wisdom. As a young man of serious mind, like a true Dao-Tsai, he searched for “The Way” – what man’s striving is all about. He traversed “The Way” for almost a century (98 years) and discovered that all life is a promise, a challenge, an exciting exploration, and that one must become a complete individual on one’s own in order to experience true oneness with a universal ocean of life energy. This man is John. G Watkins. It is indeed an immense honour for me to pay tribute to this man. John Watkins had become a mentor, guru, father, artist, teacher, friend, trainer and colleague for many people. Many have been inspired by his academic self, therapeutic self, his resonance and humanity in helping people to recognize the multiplicity of their inner resources and to actualize their potential. A celebtration of the Life of Helen Huth Watkins, M.A. Because there is no question whether we will remember the unforgettable Helen Watkins, we have chosen not to use a traditional “In Memoriam”, but instead, to celebrate an exceptional life that continues to grow within the innumerable people who were touched by Helen’s life, mind, and heart. It is a life whose effects on intellectual educational, social, and personal lives within the hypnosis community and far beyond have been so vast that they will always remain uncharted. The facts of Helen’s life are quite interesting and unique. A romantic at heart who adored opera and studied it in Innsbruck each summer, Helyanthe Maria Wagner daughter of Anna Maria and Josef Wagner, first opened her sparkling blue eyes to this world on July 19, 1921 in Augsburg, Bavaria. As her father had died before she was born, Helen and her mother lived with her grandfather until she was eleven. Helen always spoke fondly of the grandfather who was the only father she had ever known. She knew that he loved her as unconditionally as any human could. No doubt she drew upon what she experienced in this special relationship in the years to come. When Helen was eleven, she and her mother immigrated to the United States and established residence with her maternal aunt and uncle, Mary and George Sinzker in Pittsburgh, Pennsylvania. Helen could only speak German when she arrived, and when she began school, many of the other children ridiculed her attempts to speak English. However her iron determination (and her excellent ear) allowed her to master the English language so well, that she eventually spoke it without any accent whatsoever. She was chosen valedictorian of her senior high school class. Helen was briefly married to Robert Verner and widowed at age 20. She later married Richard Huth and had two children, Marvin and Karen. She received her B.A. from Pennsylvania State University (Phi Beta Kappa) and her M.A. from the University of Denver. She had completed all requirements for her doctorate degree at the University of Denver except the dissertation. She was single mother then, and she made the decision that her need to support her children and focus on their care was stronger than her need to pursue the doctorate further. Shortly after arriving on the campus of University of Montana to take the position of psychologist at the Student Counselling Center, Helen met John (Jack Watkins, the director of clinical training at the university). 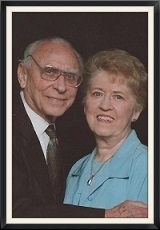 They married in 1971 and together influenced many young people in their roles as professor and therapist. Combining their scholarly and creative energies, they developed many new techniques in psychotherapy, hoping to gift the world with more effective and efficient therapeutic strategies. 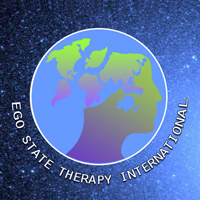 Most would agree that their most outstanding achievements in this endeavour was the transformation and development of Federn’s ego state theory into Ego State Therapy. Helen’s international acclaim as a highly creative, innovative psychotherapist and a gifted teacher has tended to overshadow her intellectual legacy. She was well-trained in research methodology, and she demonstrated her capacity for academic research. John Watkins tells us that her Master’s thesis at the University of Denver which was based on the analysis of 1,000 case protocols. Her true intellectual interests lay, however, in the deep interpersonal study of human behaviour. At one point she decided to “quit reading psychology books and listen to people” instead and entered a realm of data-gathering similar to that of Freud and other theoreticians who utilized intensive clinical observation and case studies. Helen’s intellectual gifts to the hypnosis community were most visible in several major endeavors. One was her world-wide collaboration in the development of innovative techniques in psychotherapy including the ego-state model of therapy. Within the literature Helen’s unique intellectual contributions were insufficiently recognized because her own individual publications were few. In general, she theorized and published jointly with her husband and co-author and was unvaryingly reluctant to assume, he reports, the position of “senior author” even when she had contributed half or more to joint studies. As a sole author, and in collaboration with her husband John, Helen contributed more than 40 scientific articles, book chapters, and one complete book. She received many honors and awards. In October, 2000, with her collaborator and co-author, John Watkins, she was awarded the Pierre Janet Award to Clinical Excellence, at the 15th International Congress of Hypnosis at the University of Munich. Helen’s individual publications are significant in their focus. She created the Silent Abreaction and the Somatic Bridge, as well as several techniques for relieving various burdens of guilt that patients frequently carry. Helen was keenly aware of the need for ego-strengthening as the fundamental element of all therapy. Her suggestions for raising self-esteem featured the activation of an archetypal, conflict free aspect of the ego that shared some of the qualities of Inner Strength. She place emphasis on the therapeutic alliance, resonance, and the therapeutic “being” of the therapist in deep intersubjective relationships.